[grow_thumb image=”http://telecareaware.com/wp-content/uploads/2017/02/HOWZ-20Oct2016-668-768×576.jpg” thumb_width=”175″ /]Intelesant’s latest project, Howz, has added electricity consumption to the monitoring set of Activities of Daily Living. The Howz set of multiple sensors generally monitors activity in the home, home temperature, lights on/off, and exterior door opening/closing, depending on their placement, but one sensor monitors electricity consumption by directly going into the meter to determine whether appliances are being used as an indicator of activity. These activities are reported over a smartphone app to those who have permission for reports. After a trending baseline over a few days is established via algorithms, the Howz system tracks departures from that norm and alerts via the smartphone app. This bears resemblances to this Editor’s former company which developed the behavioral telecare (first and still in market) QuietCare system, but the ‘meter reader’ is a new and smart twist. Intelesant is testing Howz in 100 Manchester homes and is scheduled to be in a pilot with dementia patients at home in partnership with the Surrey and Borders Partnership NHS Foundation Trust. In December, they also announced that they are a finalist with the EDF Energy Blue Lab Acceleration Programme. 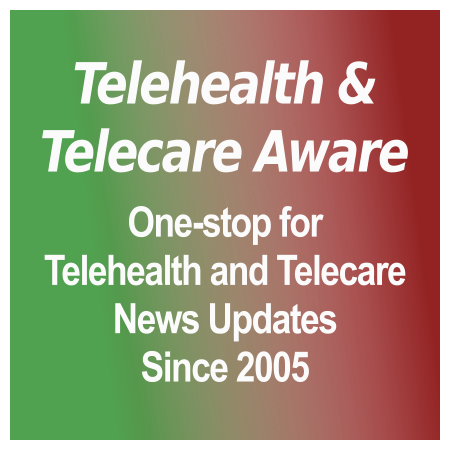 [grow_thumb image=”http://telecareaware.com/wp-content/uploads/2014/07/Big-T-thumb-480×294-55535.gif” thumb_width=”150″ /]We don’t hear much from Tunstall Healthcare in the US other than their traditional/mobile PERS business (formerly AMAC‘s). That may be changing with their introduction (finally) of the Vi+ telecare home unit. It has medical alert, fall detection (via ‘intelligent pendant’) and integrates with home monitoring an array of what they call ‘Virtual Sensors’–motion and other sensors to monitor activity in the home, including wireless sensors for fire, flood and gas leaks. They do make a point of having an integral ambient temperature sensor which will alert their response center if an unsafe high or low temperature is detected. Other than the press release, no information on Vi+ is on the Americas website yet, including pricing. (Vi without the sensor array has been sold for some time.) Vi+ is marketed in most Tunstall countries in Europe, Australia and New Zealand. The fact sheet from Ireland is representative of Vi+ in most markets. [grow_thumb image=”http://telecareaware.com/wp-content/uploads/2016/03/fall.png” thumb_width=”150″ /]Carnegie-Mellon University-College of Engineering recently conducted a survey of 1,900 US adults on care for their aging parents, as background for a project in fall prevention. [grow_thumb image=”http://telecareaware.com/wp-content/uploads/2016/03/steve-purdham-3rings-david-capper-westfield-health-with-3rings-plug.jpg” thumb_width=”150″ /]About two years ago, we started following 3rings, a Stoke-on-Trent (UK) company that develope an appliance plug that automatically ‘checks in’ an older person based on their morning behavior of turning on a tea kettle, TV or other appliance. 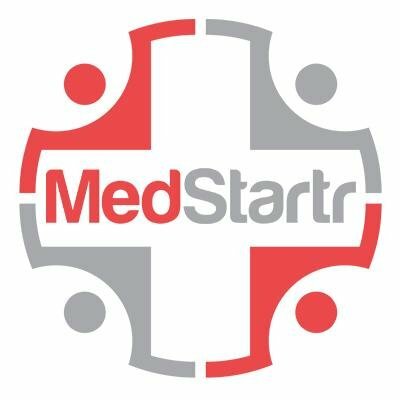 We’ve received word from their CEO Steve Purdham that they’ve announced today (Thursday) a substantial strategic investment from not-for-profit insurer Westfield Health. Mr Purdham (picture left) had appeared on the BBC program Dragons’ Den with mum Iris (prominently featured in their ads) to raise £300,000 for a 10 percent share in the company. (For our US readers, Dragons’ Den is similar to Shark Tank or Project Startup.) According to the website release, Westfield Health was attracted to the company through the show, has invested more than twice the funding requested by Mr Purdham from the Dragons, and will be offering the 3rings plug to their current and future customers. Have we arrived at another, multi-functioning generation of telecare? [grow_thumb image=”http://telecareaware.com/wp-content/uploads/2015/08/Cape-May-Point-fade-to-dark.jpg” thumb_width=”150″ /]As the season winds down, our thoughts turn backwards. Your Editor remembers Jersey Shore vacations, travel, great airshows, collector car shows, old friends and good times. She also remembers When Telecare Was New (2006-9) with Living Independently Group (now Care Innovations), helping to pioneer the QuietCare system in senior housing. At that time, universities like Virginia and Florida were on the cutting edge in developing smart homes and pioneering systems for monitoring health in older adults and the disabled. Those smart homes and research initiatives vanished years ago, replaced by incubators, accelerators, the size of your funding round, Big Data, wearables, IoT…. Previously in TTA: Quantifying early detection capabilities of telecare (July 2012) and Editor Steve’s first look in October 2009 at ‘magic carpet falls’. While Minister of Life Sciences George Freeman MP speaks very highly of the need for innovation and digital health in an NHS integrated health system, the reality is less encouraging for UK startups and their growth. The story of Big Health’s Sleepio and its move from the UK, told by Bloomberg, illustrates the difficulty that new companies and technologies have in fitting into a national framework, then selling into the 209 NHS regions plus related healthcare spenders. The long cycle and the narrowness of the frameworks are disincentives for many digital health technologies and their funders. Even if you win clients as part of being on the framework, when it expires after a few years, the business can be lost. It’s hard to crack the code, and small companies are dependent on partners. A personal anecdote from this Editor’s time at Living Independently: the company achieved getting on a national framework with the QuietCare telecare product (2007) through partnerships with several larger telecare providers. We relied on them to offer QuietCare to the regions and councils. This had limited success and the US business far outstripped that in the UK.